Kit - 20-1/2 x 6-1/4"
The Walthers Cornerstone HO Scale Water Street Freight Terminal is an ideal addition to trackside scenes from the early 1900s into the 1970s and beyond. Freight terminals were essential to railroads, handling less-than-carload lot (lcl) shipments. Loads arrived in boxcars or reefers and were transferred to trucks for local delivery. Each railroad serving a community had its own terminal, usually near the main passenger station or classification yard. In the modern era these structures have been repurposed into everything from trucking terminals to restaurants. 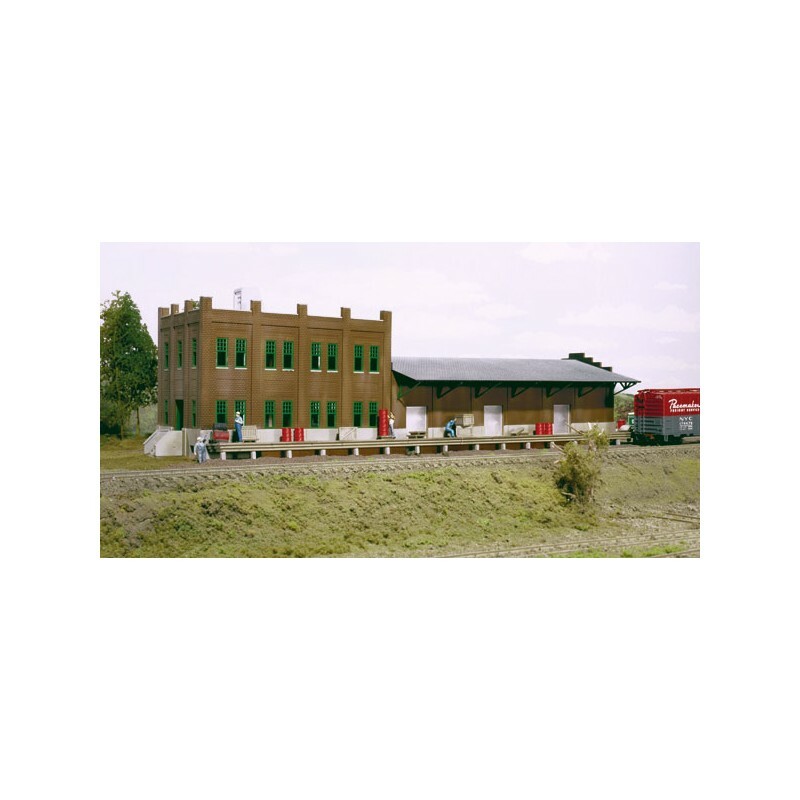 This detailed structure features a brick office building, freight house with loading docks to service freight cars and trucks, plus an assortment of crates, barrels and pallets. 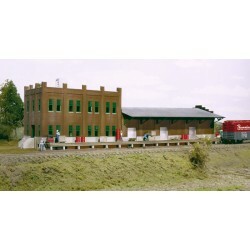 Water Street Freight Terminal is one of many is one of a wide variety of Cornerstone HO Scale railroad buildings.